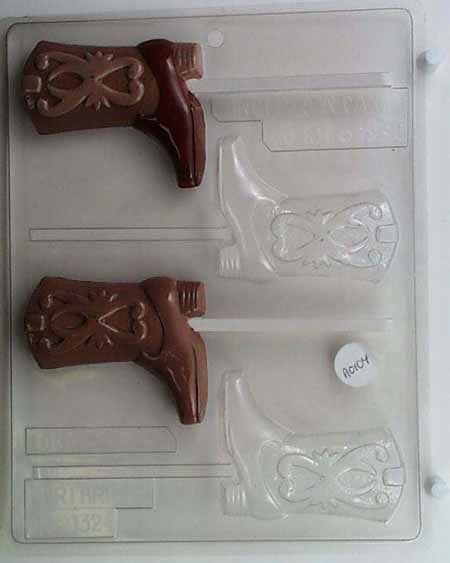 Cowboy boot with designs, Mold Type: Lollipop , Cavities: 4 Height: 3 1/8" Width: 2 5/8" Thickness: 1/2" Sucker Stick Size: 4 1/2" Bag Size: 4 x 6"
Description: I received the items in less time than I was told and of course, is of very good quality. I will order more items when I need something from this company and no other. Very Happy!!! Description: I have 600 to ship & having multiple is great!